The scientific name for peach is "persica" because early Europeans believed the peach was native to Persia (Iran), however the consensus of modern botanical thought is the peach originated in China, only being introduced to Persia and the Mediterranean region along the Silk Road prior to Christian times. There are two types of cultivated peaches; clingstones and freestones. Alexander the Great introduced the peach to Europe after he conquered Persia, Spanish explorers brought it to the Americas. The peach is actually a member of the rose family. A large peach has fewer than 70 calories and contains 3 grams of fiber. It’s also a good source of vitamins A and C.
Here are some additional health facts and a great recipe for Peachy Chicken Salad from WebMD. 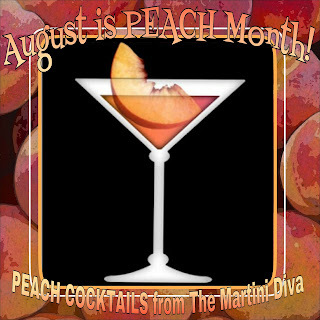 Wishing you a Peachy Month of August!